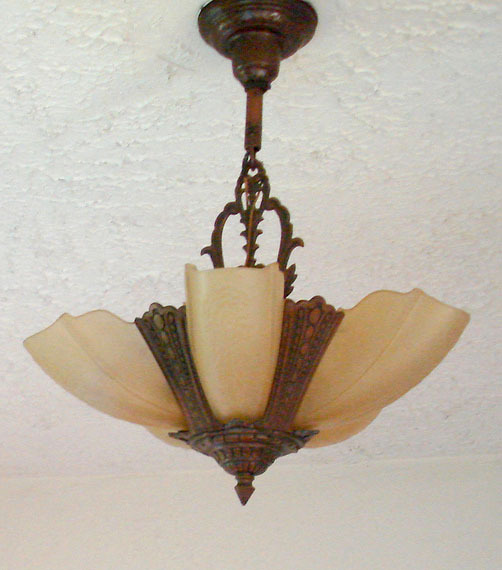 The Husband completed our great light swap (photos to come) where we took our smaller art deco slip shade (below) and moved it to the office. 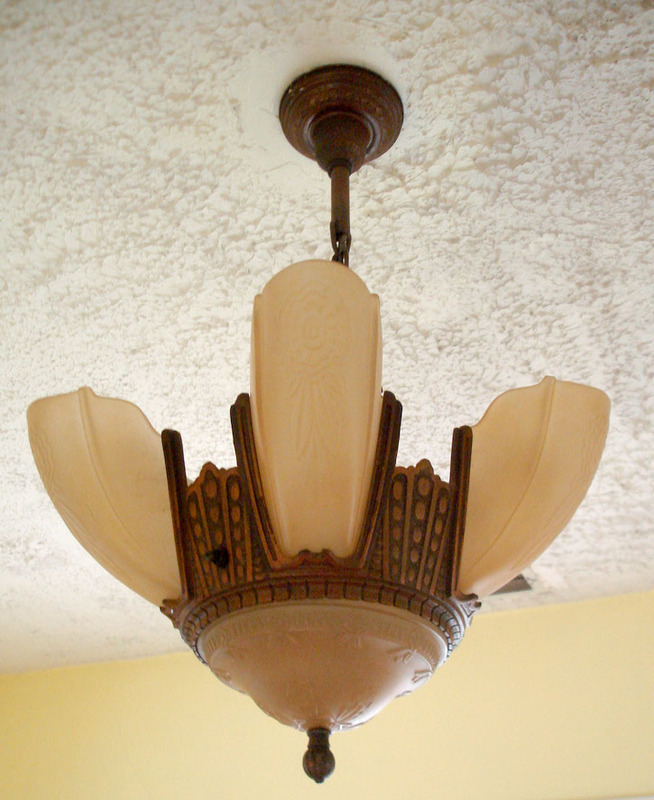 The magnificent art deco slip shade that was hanging in our office was then re-installed it in the parlor. 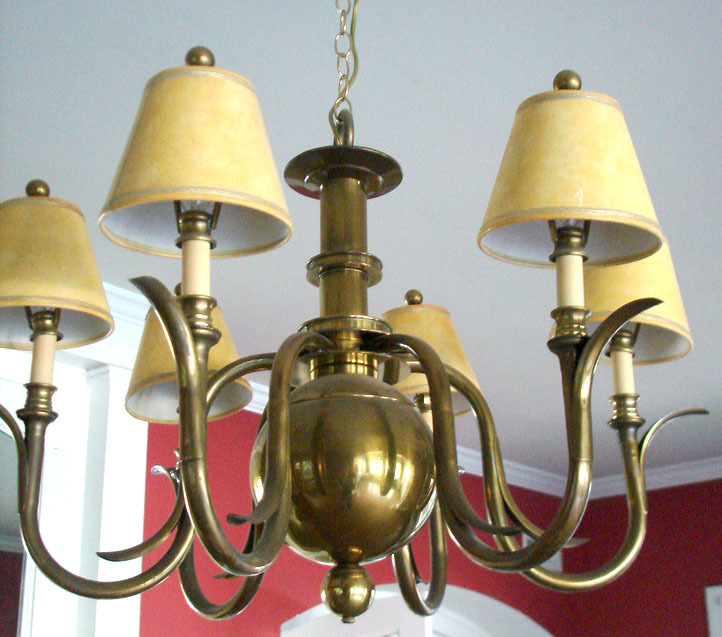 The parlor octopus-like, brass chandelier was relocated to the dining room. That left a space in the upstairs for a fan (the Husband is a huge fan of fans) and the cheap dining room chandelier that looked like a Walmart special was re-purposed. 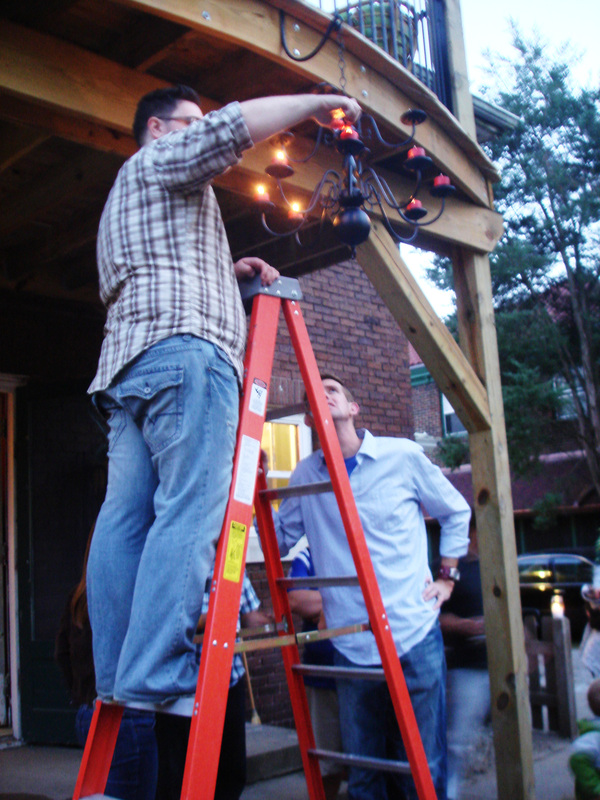 It is now the fabulous black candelabra that hung so elegantly above our outdoor feast. (And is currently still hanging there). He completely dismantled the thing, re-arranged its bits to a more aesthetically pleasing order, removed every ounce of wiring and electrical element and spray painted it. I love it. Who knew it could look so freakin’ good! Husband and Jon bring on the ambiance by lighting the candelabra. No only did my crafty husband create a candelabra that Ms. Stewart would envy, but he also cranked out two long banquet tables out of old doors and two benches out of old bi-fold doors in a matter of two days. His first try and they worked without a single foible. Granted I wouldn’t submit them to any beauty contests… but that’ll come. We plan on touching them up, weatherizing them – that kind of thing. 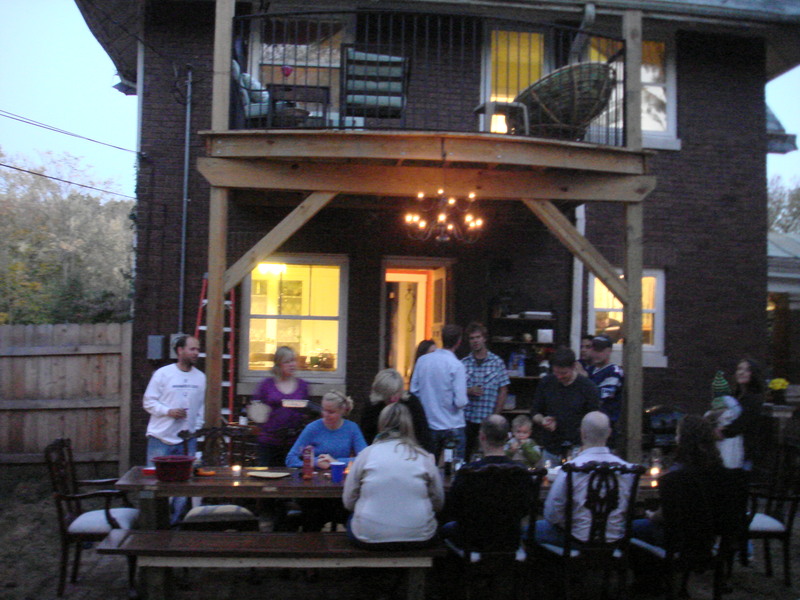 We’re thinking one table and the benches will be a fixture in our backyard for any time we feel like dining outdoors and the other table can be moved to the basement for a laundry folding table.